At some point every business considers an office move. 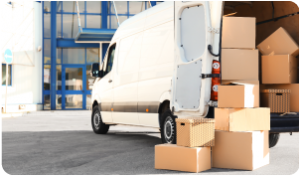 The potential move is often because the business grows and the current premises are simply too small, in the wrong location or have an inefficient layout. Most business owners and managers worry about keeping the business working during the period of the move and one of the most important aspects is keeping the customer communication intact. iCS has produced a handy Office Move Checklist which gives the key points to consider when planning your Telecoms and Internet services. We also offer a FREE consultation to minimise the stress during the moving process. The most important point to any move is to start early. Office moves often take much longer than you imagine and you can never start this process early enough. Contact iCS as soon as you are thinking about a move, so we can best advise you on connectivity in the area. The new premises that you are moving into might require additional network cabling so please contact us as early as you can prior to the physical move. Make site visits in the months and weeks before you make the move, to ensure you and other members of staff are aware of the layout and can plan where everything should go. Consider whether to keep your existing phone numbers, many businesses under estimate the cost of changing the number on all the stationery, website etc. Ideally, planning the installation well in advance and having a back-up plan will ensure your office move communication transfer goes smoothly. This will leave more time to concentrate on other aspects of the move. Finally, moving premises is a great opportunity to have a good tidy up and get rid of any old documentation and furniture which you no longer need. It is also an opportune time to build a disaster recovery plan for your new location. iCS offers a FREE Telecoms and Internet consultation. Talk to iCS about your office move on 0800 9 77 88 99 or email us.